Ground Covers You May Not Have Thought About - Richard Lyons Nursery, Inc.
One of the fascinating aspects of growing plants, either as a vocation or an avocation, is the discovery that many are capable of serving multiple roles. Here at Richard Lyons’ Nursery, there are a number of species fitting that description, and some are surprising in their versatility. Starting today, we are undertaking a multi-part survey of species which we think are worthy of being grown as ground covers in your landscape. 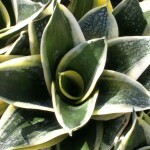 Dwarf Sansevieria, Sansevieria trifasciata ‘Jade Dwarf Marginated’: Around the U.S., Sansevieria is one of the best-known tropical plants because of its ability to withstand low-light interior settings and almost total neglect. 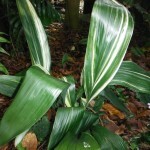 But in the climate of southern Florida, the genus takes on an additional dimension with its ability to be grown outdoors as an unusual ground cover, and Jade Dwarf Marginated Sansevieria is a cultivar particularly well-suited to that role. In bright, filtered light, it grows in a tight rosette and features a short leaf with a dark green core and off-white margins. You will find success with it if you provide good drainage and only occasional watering during the driest part of the year. 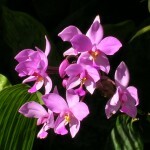 Ground Orchid, Spathoglottis plicata: This popular terrestrial orchid is native over a large range in subtropical and tropical Asia. 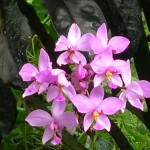 Its broad, arching leaves make this freely-flowering species an attractive ground cover to about 18 in. high. It should be irrigated liberally, but then allowed to dry out before the next watering. Good drainage is essential; avoid planting in packy soils. For best results, expose this species to bright, filtered light. 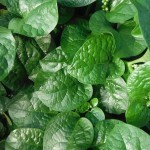 Malabar Spinach, Bassela alba: Native to Asia in a long swath from India to New Guinea, this versatile species is both ornamental and edible, and it is even touted as libido builder. 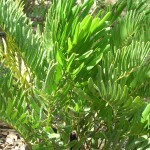 It thrives in heat and is tolerant of a variety of soils, so long as they are well-drained. 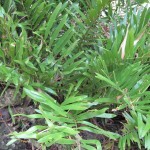 Plant this species in sunny to lightly-shaded exposures. 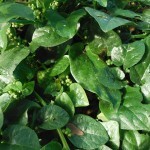 To maintain Malabar Spinach as a ground cover, grow it in an area where there are no vertical features, such as fences or posts. 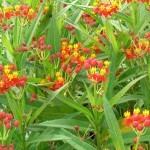 Mexican Milkweed, Asclepias curassavica: Native to South America, this tropical milkweed is not only beautiful in flower, but can function as a fairly tall – 3-4 ft. – ground cover. For long periods of the year, it produces red and orange flowers in clusters, whether planted in full sun or partial shade. It is not particular about soil types, either, and doesn’t require copious moisture. You can pinch tops occasionally to produce a bushier plant. It attracts Monarch butterflies both for egg-laying and as a source of nectar. 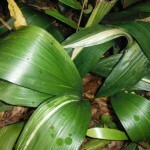 Cast-Iron Plant, Aspidistra elatior: See “Looking for Shady Friends?” (July 12, 2013) on this website. 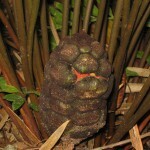 Coontie, Zamia integrifolia: See “Cycads” (September 15, 2012) on this website.